Never again let a seemingly immoveable lid derail your meal prep. 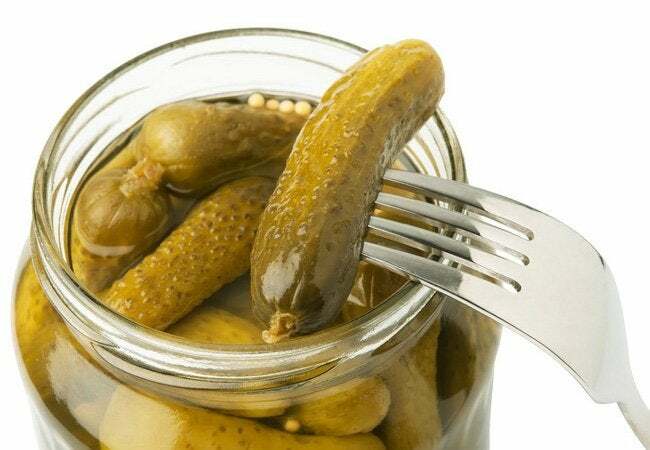 With these easy solutions, you can conquer even the most tightly sealed jar. It’s an age-old quandary: You reach for a jar of pickles or tomato sauce but, try and try as you might, you cannot get the metal lid to budge. Besides simply seeking help from someone more muscular, are there any other surefire ways to open a stuck jar? Absolutely. You can skip the phone call to your body-building next-door neighbor, because the solution lies close at hand. In fact, in most every kitchen, there are at least three easy and effective methods of opening any stubborn jar lid. Scroll down now to learn the simple secrets. The next time you need to open a stuck jar, make rubber your ally. Indeed, virtually anything made of rubber can offer up the grip you need to overpower a tight seal. 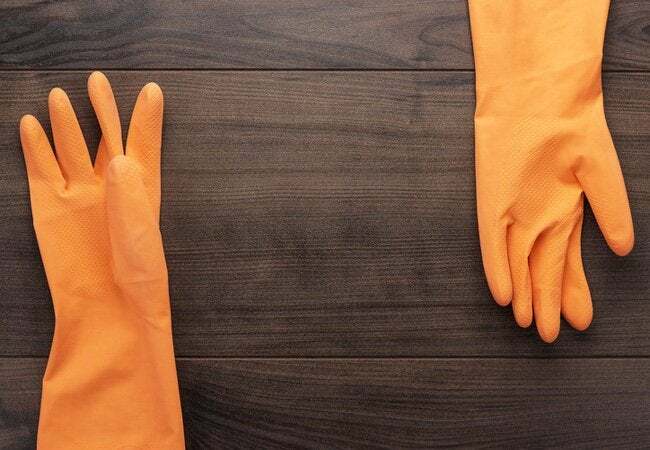 The average kitchen hides a number of rubber items in plain sight. Our favorite approach? Don a pair of rubber gloves to get a better, more persuasive hold on the jar. Alternatively, hunt around in the junk drawer for rubber bands and wrap one around the lid a few times. In a pinch, you might even use a rubber shelf liner. 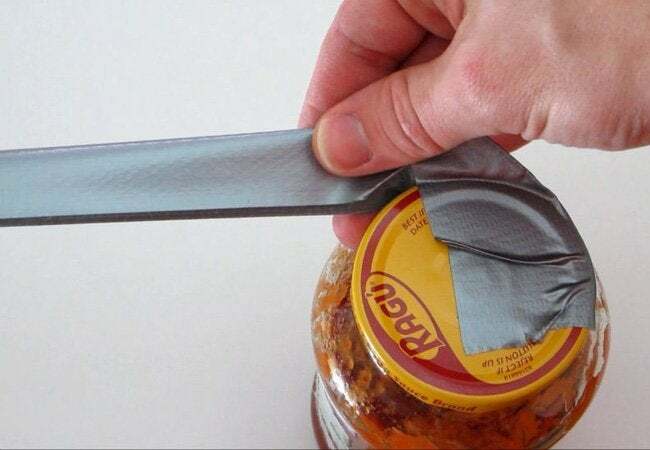 With duct tape, you can open a stuck jar in just a minute or two. Here’s how the strategy works: Tear off about a foot of duct tape, then line up the bottom edge of the tape with the bottom of the lid. Next, wrap the tape three quarters of the way around the lid, and fold the remainder of the strip in half, lengthwise, forming a sort of three quart the tape around the lid, forming a sort of makeshift handle. Finally, hold the jar in one hand and pull the “handle” with the other. Presto! Some jars are easy enough to open the first time but quite difficult to open again—jars of honey, for instance. That’s because their sticky contents lodge between the glass jar and metal lid, effectively gluing the container shut. 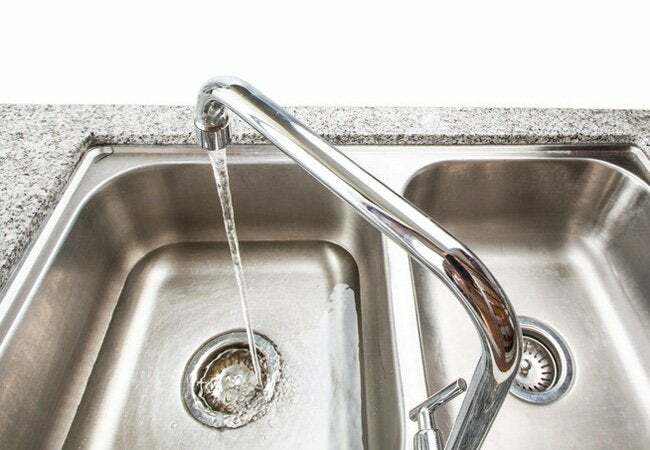 The trick is to bring the jar over to the kitchen sink and hold it under warm or hot water for up to 60 seconds. The water at least partially washes away whatever substance may be holding the lid in the place. From there, simply wipe off the lid and give it a firm twist.